On this page you will find oppo F5 flash file and how to flash oppo f5 with flash tool in details so please read this post carefully. Oppo F5 is very hard to flash comparision other oppo phones because this model firmware and unlocking process is very hard. 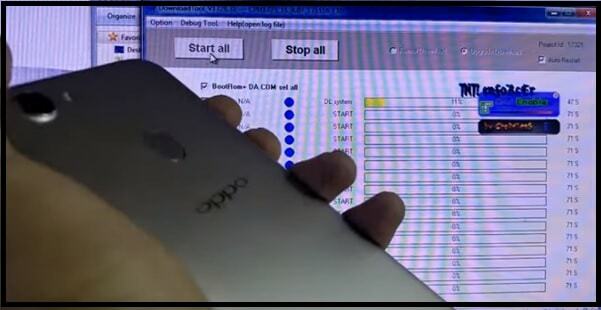 As we already told you, it’s must to activate oppo flash tool on pc with activation key. Otherwise, you can’t flash oppo f5 directly using DownloadTool 1728.31 flash tool. To make it easy to understand, we are splitting the complete Oppo F5 stock ROM installation guide into two different steps. Just follow all the instructions as it is as shown below and install stock ROM on Oppo F5 safely. This step is most important to flash Oppo f5 flash file. In this step, we will configure Oppo flash tool on pc. Otherwise tool will not work for you. Download “OPPO_ALL_TOOL.rar” file and unzip it on pc. Here you will see two different folders – DownloadTool_v1728.31 & Oppo_all_tool [cra*k]. Now open “Oppo_all_tool [crack]” folder and configure it by following below guide. Don’t worry it’s very simple. Once the activation process completed, go for next step to flash Oppo F5 mobile. Now it’s the final step to install firmware on Oppo f5 mobile. Extract the downloaded Oppo F5 flash file [STOCK ROM] on pc. Now open the downloaded “DownloadTool_v1728.31” folder and move all the files into Oppo F5 CPH1723 flash file folder as shown in below screenshot. Now run the “Download Tool.exe” setup as administrator from the same folder and launch it on pc. Once the tool launch properly, hit on “Start All” button. It will start to read all files of firmware folder automatically. Come the device, press Oppo F5 boot key + attach it with pc via USB cable. 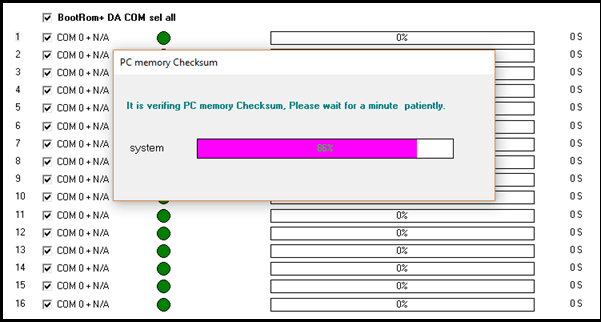 Once the tool detects the device successfully, flashing process will start and may take more time to complete the process. Don’t remove or unplug USB cable, otherwise process will stop. Sit back and wait to complete the process. End of the process, it will show Green successful bar as shown below. Device will reboot automatically after flashing and you are free to unplug the device from pc. Now setup the device again as a new device.